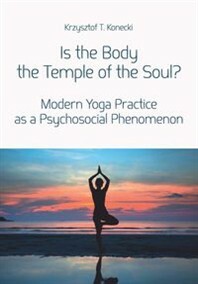 Hatha-yoga in Western culture is often perceived as the practice of physical exercises (practice of the asana position), usually done to improve one?s health and emotional state. Even if that is the case, it is still based on the rule of ?the silencing of the modifications of the mind.? It is about a containment of mind dispersion in terms of non-important, minute, everyday issues, which are not important for the basis of our existence, balance and inner harmony, the unity of body and mind. Even if we train only for our health and for improvement of our physical fitness, then the end result, in the case of many physical and sports activities, is stopping mind movement. The full concentration on one action, on one point in space, might not have any metaphysical meaning for us, but it still remains full concentration. This can be achieved by patiently practicing hatha-yoga.